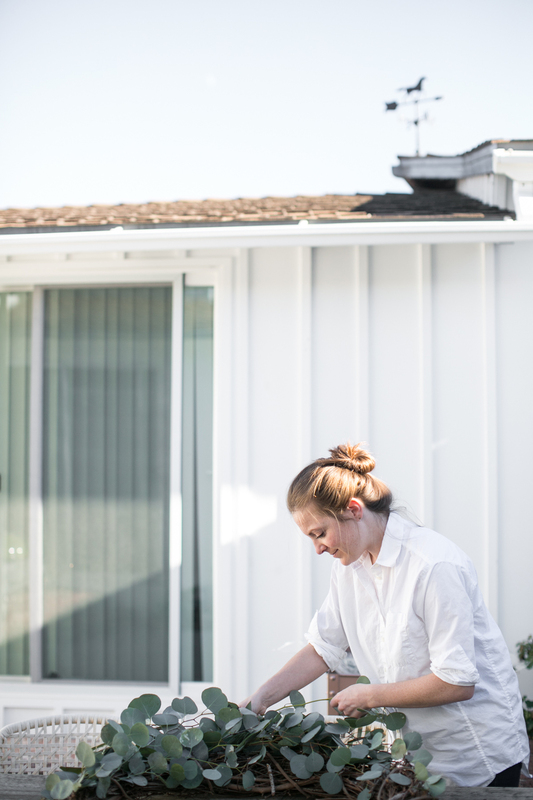 'Tis the season to whip out those Christmas lights and trim the tree. But what about the other walls in your house? 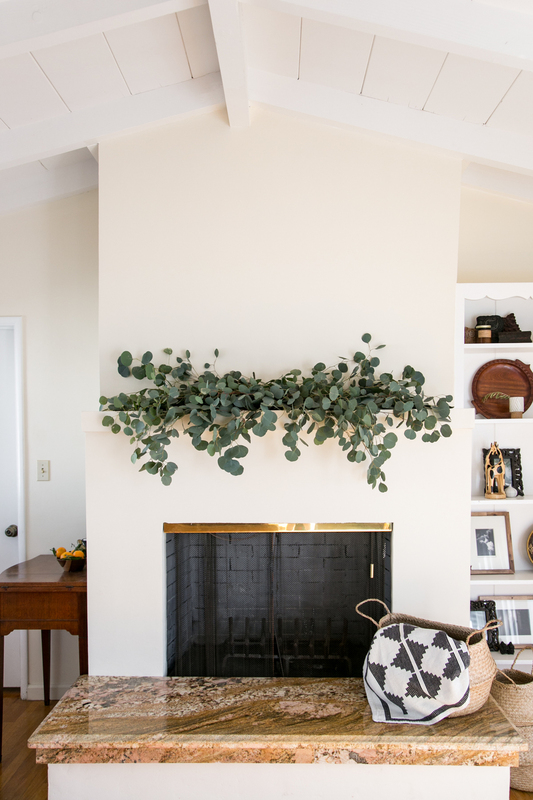 Or that mantle? 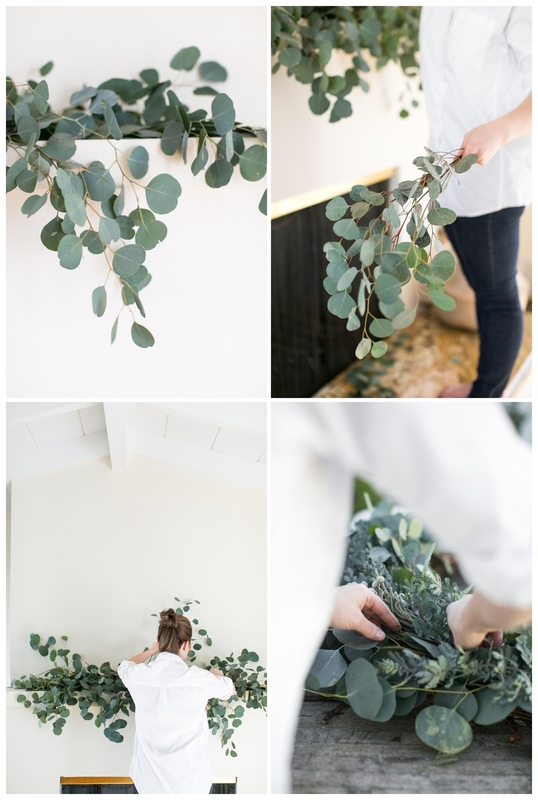 Today we're sharing three easy and gorgeous ways to spruce up those other spaces with one of our favorites: eucalyptus! And best of all, there's no maintenance required. 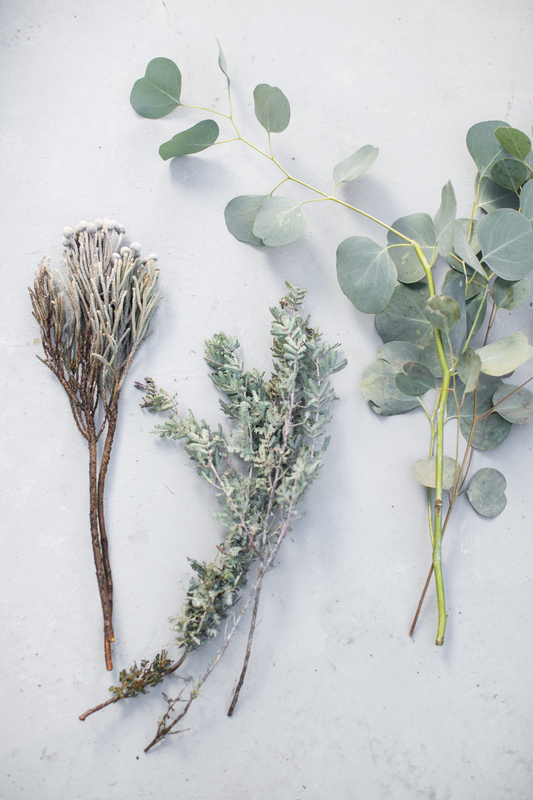 These stems dry beautifully and add a delicious festive scent to your house. 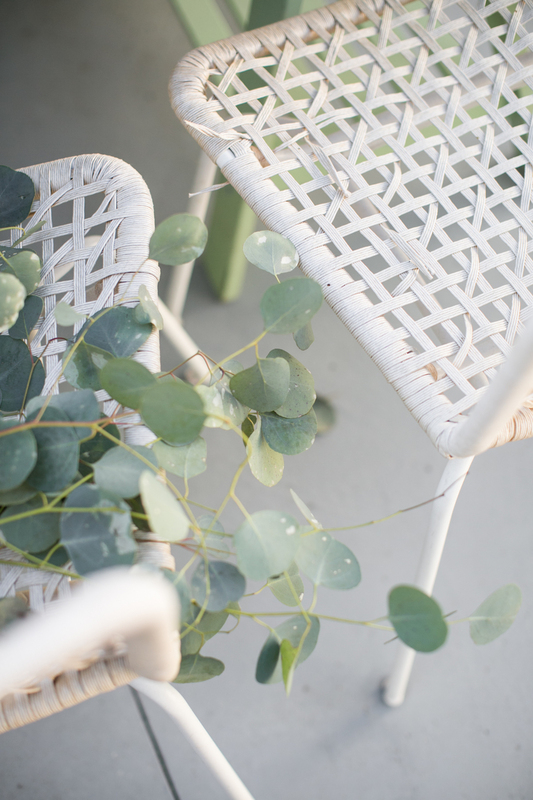 You should be able to find fresh eucalyptus at your local grocery. If not, you can put in a special order. 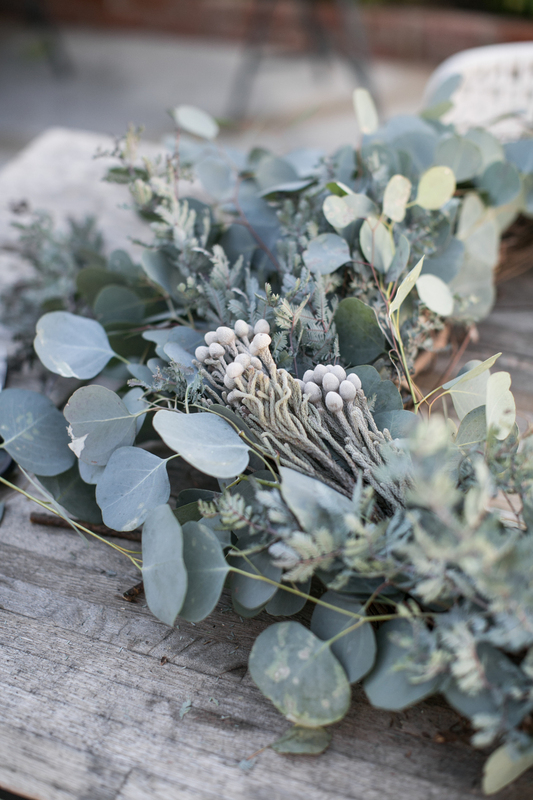 We asked for 20 silver dollar stems and 10 seeded stems from Blooms, the sweetest roadside florist in Corona Del Mar and went to town decorating. *note : if you've got curious kitties, make sure to keep the eucalyptus out of reach as it can be harmful if nibbled. For the first setup we began placing the stems in opposite directions from the center. 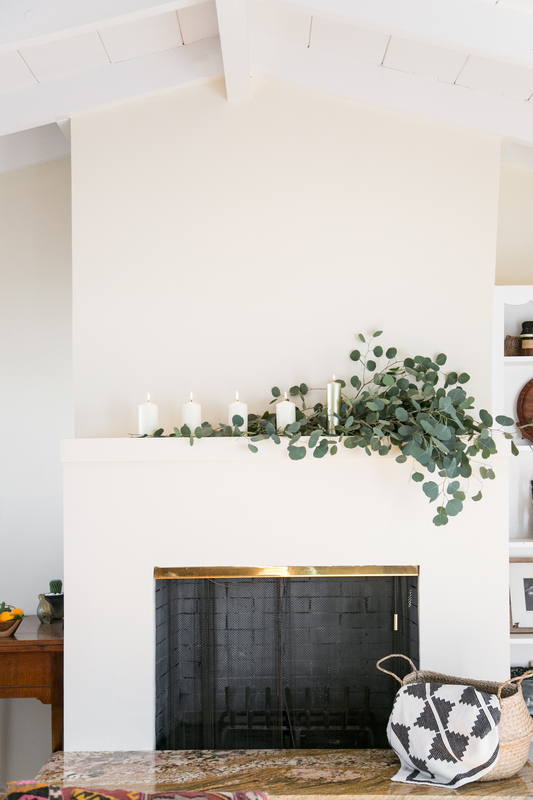 Continue layering the thick eucalyptus until you have the height you desire, taking care to leave a few stems gracefully hanging over the mantle. Add 4-5 stems of seeded eucalyptus to finish. 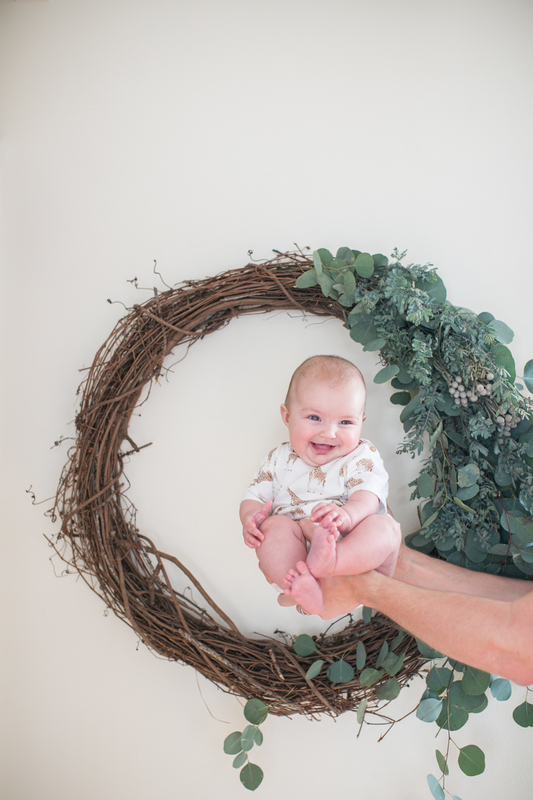 We began with a 36" grapevine wreath. 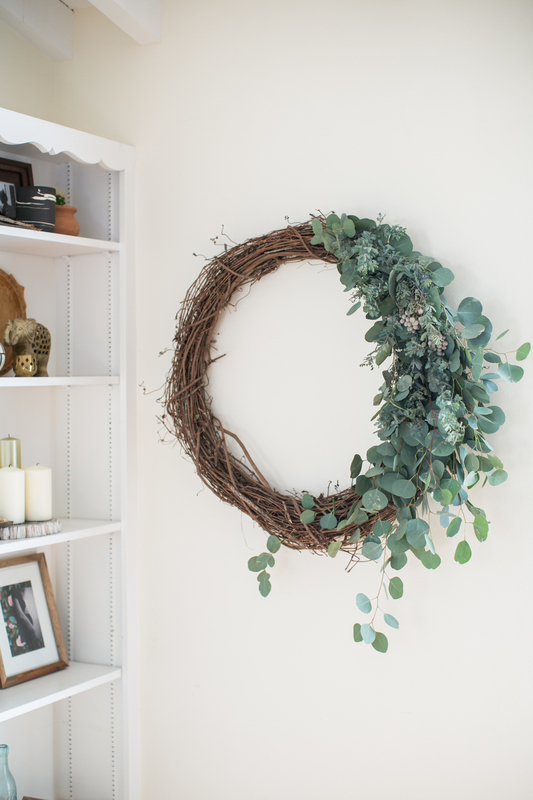 If you'll imagine the wreath is a clock, we began weaving individual stems at 12 o'clock and continued until 5 o'clock, adding the majority of the stems around 2 o'clock. 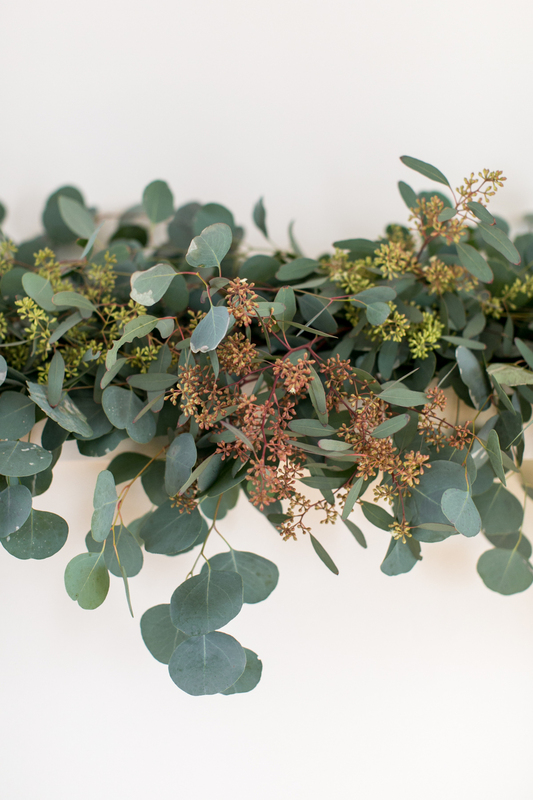 A few seeded eucalyptus flowers around 3 o'clock finished the cascading arrangement quite nicely. 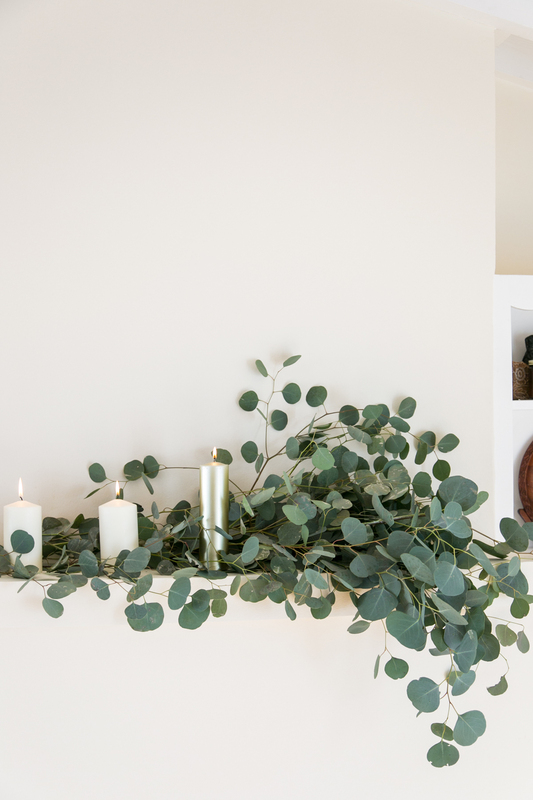 Our final arrangement provides the perfect backdrop for five beautiful advent candles. 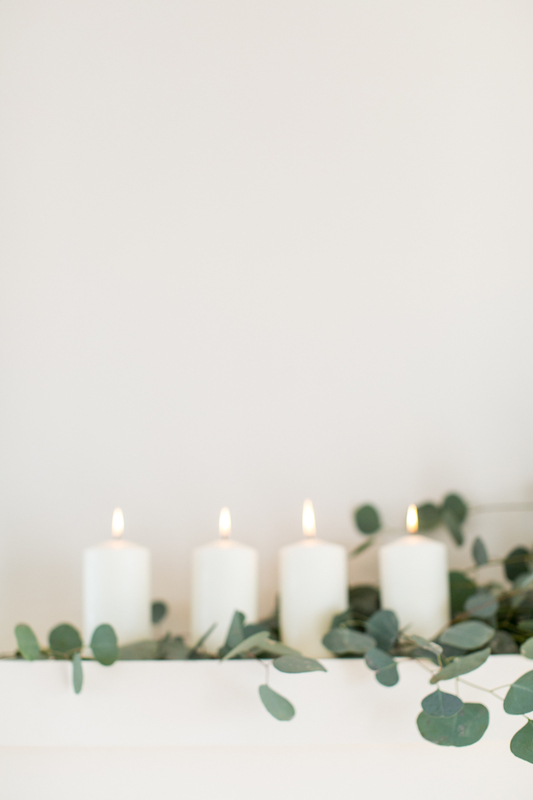 One white candle for every Sunday leading up to Christmas and the gold to be lit on Christmas Day. 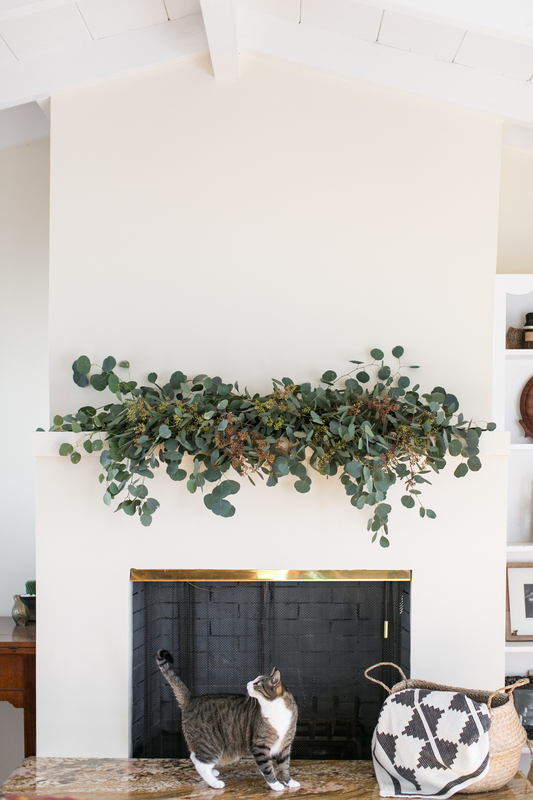 As with the first mantle piece, simply lay individual stems heavily on one side of the mantle until you've reached the height you desire. Weave a few stems in between the white candles (careful, of course not to get too close to the flames). It's still not too late to enjoy a daily advent calendar, too!